TENNYSON, Alfred (First Baron Tennyson) and Gustave Dore (illustrator). 'The Fairy Circle'. Steel engraved plate of the Dore illustration in proof state on light-buff paper, mounted on cream cartridge paper measuring 30 x 41cm (buff paper portion only) with the Printseller's Association blindstamp and three letter code (each print had different code). 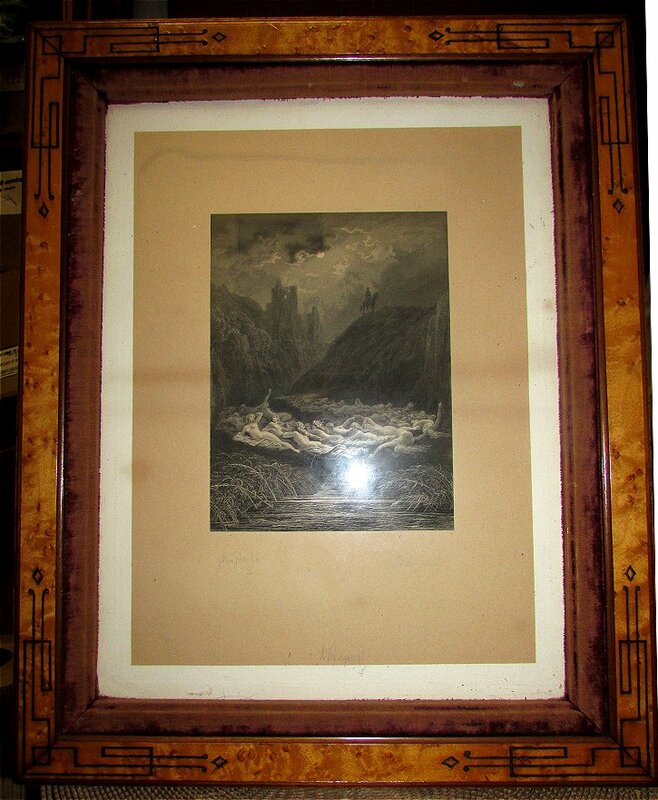 Signed in pencil by Tennyson, Dore and Ridgelway, the engraver. 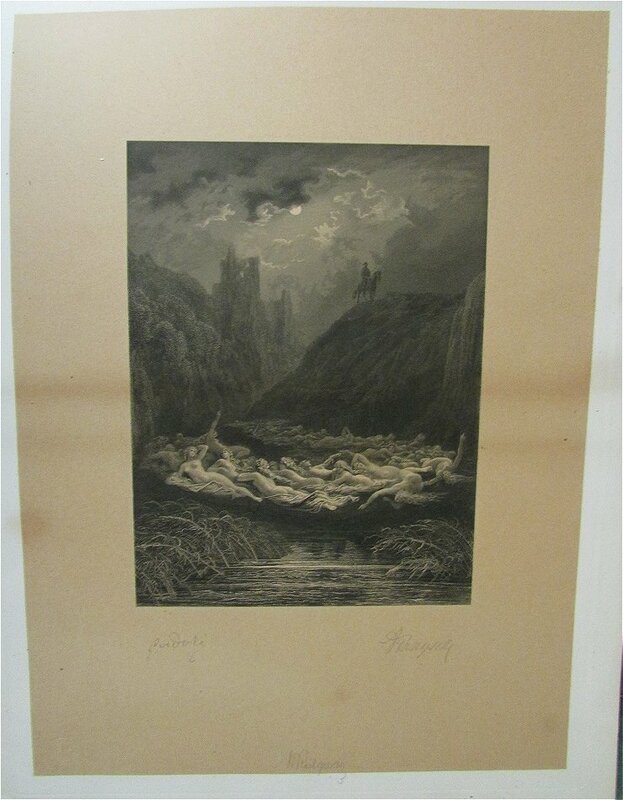 The illustration (1867/68) was done for an edition of Tennyson's Idylls of the King.